For a number of years Thrumpton church has been locked when not in use. This decision, taken very reluctantly, was based on the number of thefts, and, in some cases damage to rural and relatively isolated churches. Set against this, the Parochial Church Council do want people to be able to visit and enjoy our lovely old church and at the same time to do this in a way which does not compromise the security/integrity of our ancient building. Our church is open every Wednesday evening 7.30p.m. to 9.00p.m. during bellringing practice. 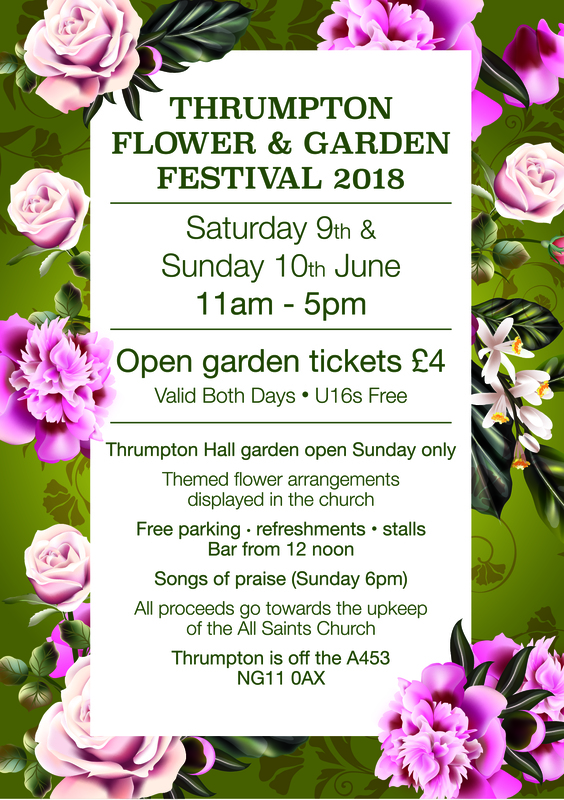 Our Annual Thrumpton Flower & Garden Festival - Sat & Sun 9th & 10th June 2018. Open Churches Week End - Sat 21st July 2018 (only), 10 a.m. - 5 p.m. The church notice board also gives key holder information for outside these time periods.